Note, too, how the two lead characters in the opening verses are introduced. The author tells us nothing of their backgrounds, their families, their origins, and we are even left wondering about what they were doing at the time they begin their action on-stage. No, John and Jesus are introduced directly and bluntly as fulfilments of prophecy and nothing more. They have no historical background in this narrative. The voice of one crying in the wilderness. Prepare ye the way of the Lord, make his paths straight. John did baptize in the wilderness, and preach the baptism of repentance . . . 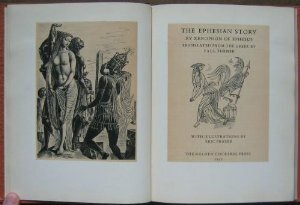 The tale of Anthia and Habrocomes in Xenophon’s Ephesian Tale was another prophecy-driven plot. Scholars have not been satisfied with Mark’s introduction of John to the extent that Mark does not give us an historical account. He is creating a fulfilment of the prophecy. So what Mark was doing is set aside and scholarly imaginations take over and seek to flesh out the account with historical imagination and recreation. That’s fine as long as we keep in mind that this are imaginative recreations and that they have nothing to do with what Mark has given us. I indeed have baptized you with water,; but he shall baptize you with the Holy Ghost. And it came to pass in those days, that Jesus came from Galilee and was baptized of John in Jordan. Again, there is no historian or biographer here to introduce us to Jesus as a historical figure. There is no interest in the background of Jesus, who he was personally, the life setting he came from (he only came from Galilee — the “Nazareth” in the texts is very likely not original to the text). Indeed, the identity of Jesus throughout this gospel is going to remain a theological mystery. That is, Jesus is not presented as an historical figure at all. He is presented, like John, as the direct fulfilment of a prophecy, of John’s prophecy. The literary apposition could not be more stark. The message of the artifice is clear. Readers are taken from the beginning into a mystery narrative. We begin not with real-life accounts of two notable figures of the past, their families, how they came to be where they were and what they were doing in the broader scheme of things. No. We are introduced to two prophecies and the immediate and direct fulfilments of those prophecies. That is the nature of John and Jesus and all we need to know. It is all the author knows. It is what the scene the author is creating. Much, much more could be said about the sources of the other details — how they are derived from 1 Kings, from Isaiah, from Exodus, and so forth — and so much has been about those sources for this scene both here and in many other places. We know the sources for the baptism and John’s dress and the voices and the wilderness are all literary. I won’t repeat the abundant evidence here. I will only observe how the scene closes with a neat book-end. Just as John was introduced as the messenger (“angel”) who was not worthy to serve Jesus as his shoe-lace fastener, the scene closes with other messengers from God (“angels”) serving Jesus in the wilderness. This is imaginative literature with style. How lucky, many would say, that it just happens to also be derived from the author’s knowledge of real events. I posted recently on the artificiality of the call of the first disciples and their surreal responses. It is most evident that the scene is entirely literary, theological, without any point touching reality. I won’t repeat the arguments here. A reminder is enough. Who is this Jesus, really? Again, we are given no idea what Jesus taught. He had to say more than “The Kingdom of God is at hand”. Mark is not interested in telling us what Jesus taught because that is not his point. What he wants to show readers is that this Jesus is the Son of God. He has the authority of God. And that’s what makes him a mystery. All that is important about Jesus’ teaching here is the reaction of the crowds. They are astonished at the mysterious authority of Jesus. Again, there is no hint that Mark is relaying to readers information that has been handed down from eyewitnesses who knew something of what Jesus taught and how various people really came to respond over time. The scene is entirely artificial. It is the scene of a deity or holy spirit from God himself possessing a man in such a way that crowds respond not to the (historical) person but to the divine presence. The crowds are mystified and awed as is appropriate when in the presence of the divine, of God or the Son of God himself. Then look at the artful dialogue that follows. Someone looking for history and reality cries out to know what Jesus was saying and the details about his appearance and voice that made him so awe-inspiring. Mark’s imagination (and his supposedly historical or eyewitness source) fails them in that respect, though. Instead, readers are regaled with the ravings of a madman. The man possessed is given an extended dialogue to convey his fear and torment. The dialogue could in translation amount to at least five sentences. Move past Jesus for the moment and notice the dialogue that follows the exorcism. Again we have an extended series of direct speech statements. And they all express mystery, awe. And in the middle of torrents of words mindlessly expressing fear and awe? The simple, calm, few words of a commanding Jesus. The dialogue is fictitious. It is also effective literary artistry. It conveys the towering supremacy of Jesus through a dramatic scene. He stands a man of few words, but words empowered by divine authority, in the midst of human and demonic fear and trepidation. The narrative concludes with a claim that Jesus was not, as so many scholars looking for history want to say, just one more of many exorcists wandering around Syria-Palestine at the time. No, Jesus was singular. This exorcism was nothing comparable to the exorcist tricks we read about in other literature of the era. Jesus merely uttered a commanding word and suddenly he was famous throughout the entire region. He was God speaking. And the literary artistry conveys this well. The author, Mark, is inspired by his theological and literary imagination. If he is working with materials from eyewitnesses or purveyors of oral traditions he has subsumed his material so well as to be no longer recognizable as having any independence at all from his literary art. Later “Luke” will attempt to impose some historical verisimilitude to Mark’s narrative. He will introduce the preaching of John with a Josephan chronological formula. Like Chariton he tries harder to imitate the historians with this, and his preface. At the same time, however, he adds more theological tales such as the miraculous tale of John’s birth that sounds very much like the miraculous births of patriarchs and heroes in Genesis and Judges. Luke tries harder to create a narrative that runs more fluently from the magical tales of the patriarchs and judges. One could write a book covering the literary artifice that makes up the Gospel of Mark. I have of course only scratched the surface of a few verses. The entire gospel could be analysed in such a way to reinforce the same conclusion. Posted on 2013-09-28 23:35:37 GMT+0000 by Neil Godfrey. 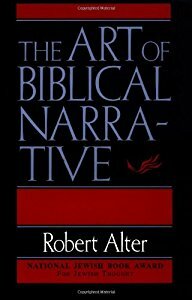 This entry was posted in Biblical Studies and tagged Alter: The Art of Biblical Narrative, Chariton, Genre of the Gospels, Gospel, Gospel of Mark, Narrative Criticism, Robert Alter. Bookmark the permalink. I’ve read a lot of books about Mark and studied the arguments from people like you (and mythicists) over the years to see If I could make sense of this gospel. To my surprise everything only made sense if this gospel is deliberate work of historical fiction. The other gospel writers probably knew this and used Mark for their own purpose. It’s like they argue against Mark, and each other, in stead of adding things Mark “forgot”…. I grew up in Evangelicalism and from time to time we would be graced with a low budget film that attempted to portray a string of scenes from the Gospels. I was always disquieted by these renditions. I thought at the time that it was mostly bad acting but as I grew into my teen years and also saw the same problems with Hollywood productions it became obvious that the issue was in the texts. Let the Reader Understand: Reader-Response Criticism and the Gospel of Mark by Robert M. Fowler analyzes Mark from a literary-narrative perspective a la Adler. He does not come right out and say “obviously this is all fictional,” but the critical reader comes away from the book with that impression. It is a bit of a riddle how you think the concept “fiction” can assist us in a scientific analysis of Mark. Is there any evidence that the writer or writers behind it had any experience of anything aptly called fiction? No one can resist calling the Callirhoë a novel, but the chances these people were familiar with it are nil. Putting ‘Mark’ and ‘fiction’ together seems as absurd as calling Mark a work of prophecy or an epic, and as much an anachronism as calling it ‘investigative journalism’. By fiction I simply mean a story that is fictitious — the opposite of non-fiction — whether it be theological parable, metaphorical, visionary, or whatever. Most scholars who address the question are ready to rightly concede that “history” as we understand the term was alien to the ancient authors. You’re the first person I’ve heard suggest the concept of something fictitious was alien to Mark. Of course fiction was part and parcel of the literary landscape of anyone who learned to read and write Greek at that time. The Gospel’s very structure of a series of episodic anecdotes leading up to a climactic and more fulsomely told single narrative at the end (the Passion of Christ) is taken directly from the popular (fictional — nonhistorical) writings of the day. Are you really suggesting that there is not a single episode in Mark that suggests something fictitious? And that Mark was compelled to write only what he believed to be historical truth? That the baptism of Jesus scenario was an accurate reflection of historical happenings as well as being so magically and utterly coincidentally parallel to key literary phrases and structures and images in Isaiah? Do you know of any other ancient writer who wrote like that? It is as if you were forgetting what you know of the actual English expression, ‘non-fiction’. The Mark Gospel is hardly claiming shelving rights in 21st century bookshops. It is unlikely that this gospel is a ‘literary’ work in almost any familiar sense, since unlike Callirhoë it is presumably not aimed at a ‘reading public’, but to be read aloud to an illiterate Gentile flock or anyhow as something to be referred to by the literate among them, who almost surely numbered at most a few hundred even deep in the 2nd century. If you want to say that the propositions it affirms, taken one by one, are in large part false, as they presumably are, why don’t you say that? It is, for example, in fact a metaphor, and a strained one, to call a bald faced lie a ‘fiction’, or to say that there is ‘something fictitious’ in e.g. perjured testimony, or that such testimony has a ‘fictional’ character, and so on. I am a librarian and to me and my colleagues the terms non-fiction and fiction (and even historical fiction) apply to literature of all ages and cultures. Non-fiction and fiction are terms that can be and are used just as validly of ancient literature as they are of modern literature. Librarians do not only classify 21st century works. We also classify first century and B.C.E. works into fiction and non-fiction. Classical scholars even refer to certain ancient novels such as Chariton’s novel as a “historical novel”. But if you really insist that those terms are invalidly used by professional classifiers of literature and scholars of literary studies then you are welcome to produce your own. What counts is the content of what we are addressing more than any label. A literary analysis of the Gospel of Mark demonstrates — at least according to several notable scholars — suggests that the old view that it is an unliterary or primitive work is far from the facts. There are many allusions within the text that indicate that at least some of its readers were very sophisticated. I have just demonstrated at least one instance of literary artistry in one of Mark’s tales that indicates it is not entirely a crude work that has been artlessly strung together. If the gospels were only to be read aloud to illiterates then we have many questions to answer — there is so much in those gospels that would have gone right over their heads. No. The audiences included more than illiterates. But please don’t think I am using “fiction” in a pejorative sense. I am not. You appear to think I mean the authors are somehow dishonest. I do not believe that. I really do tire of criticism that imputes to me insinuations that are simply not in my posts at all. No. I am not attacking the Bible. If I wanted to do that I would do it. But I love studying and understanding the nature of the biblical works. I do not believe or think for a minute that the Gospel of Mark was in any sense trying to “lie” or purvey “perjured testimony”. Such accusations are outrageous and ignorant and to be accused of making them is also outrageous and ignorant. It ought to be clear what I mean by fiction when it is opposed to non-fiction. It is not a specific genre per se and by setting it in opposition to non-fiction that should be clear as day. It is a reference to whether the content is factual or real or historical or non-factual or something creative and more imaginative. Fiction in the way I have used it is as much as and as little a “genre” as is “non-fiction”. Mark’s narrative is as literary as the fiction of ancient novels. You can quibble about the term “fiction” but I see that approach as an excuse to avoid the content of the argument presented here, and a distraction from the way I have used and explained my use of the term. Of course the Iliad and Isaiah in the way I have used the term “fiction” are both fiction as opposed to non-fiction. Does anyone call them “non-fiction”? Please do understand, though, that I am not attacking the Bible. If you think that describing the Gospel as a work that is mythical or unhistorical or fictitious in some sense is insulting then it can only be insulting to a fundamentalist-type believer, I suggest. I am not interested in arguing with such people because they are not interested in studying the Bible as literary works or in trying to understand their nature or origin on the same basis as we try to understand the nature and origins of any other literature. I believe most critical scholars would also agree that the Gospel is not a historical account of Jesus — that is, it is a work of theology, or creative metaphors — that is, it is “fictitious”, or in that category of many, many genres we can classify as “fiction” as opposed to that other broad category of works of many genres we label “non-fiction”. You speak of “realistic touches” with the suggestion that this should lend support for believing Mark is a work of “non-fiction”. I am forced to wonder if you really did read anything more than a few lines of my post. The very definition of a work of historical fiction is that it is set in real historical times and settings. The fact that a work includes a real emperor and a real general and a real city and a real temple and a real governor and a real synagogue is exactly what we would expect in works of historical non-fiction or historical fiction. No-one believes Chariton’s novel is true or that the story of Jonah is true of that the bible’s version of the Exodus is true or that James Bond is real because they all are set in real historical places and times. But notice. I also made clear that just demonstrating that a work is crafted together for literary effects does not in itself prove that its narrated contents are not based on historical reality. I’d appreciate it if you tried to address the logic and content of my argument and tell me where that is in error. I don’t use terms like “fiction” in the way you do, and you find my use of the term as a stumblingblock, so I’ll avoid using the term in future discussions if you agree to address the content of the arguments I have presented. It was the comparison with ‘historical fiction’ in particular that prompted my remarks. This phenomenon presupposes an extant practice of historical composition from which it take materials for fictional composition. We find things like this in antiquity, but they are generally later than the gospels. They were written for the well-heeled Greek-reading literate class of the empire, which was big enough to sustain such a tradition. The gospels show no evidence of knowledge of actual historiographical tradition, unless e.g. Chronicles and Kings count as that, much less of any meta-historiographical ‘historical novel’ tradition; they were written by a minute population of literate members of a mostly illiterate community of a few tens of thousands; the literate population in question simply does not add up to a public. A comparison with Chariton makes no sense at all. Note further that the sentences of a James Bond novel cannot be characterized as false, and that ‘believing’ a Bond novel is simply a form of misunderstanding, like not knowing what language it was written in; presumably it was the same with something like Callirhoë; again Mark is engaged in a completely different act. I cannot be any clearer. I explained exactly what I meant by “historical fiction” in my opening paragraph. You have taken the term and argued against it on other grounds entirely and that my own explanation excludes. By historical fiction I mean a tale that is set in a historical time, includes historical persons even, yet is not a tale based on real history. The narrative in that historical setting is — as many good believing critical scholars point out — is “mythical” in the sense that it is a fabrication, a metaphorical or theological tale that does not reflect the real historical Jesus. 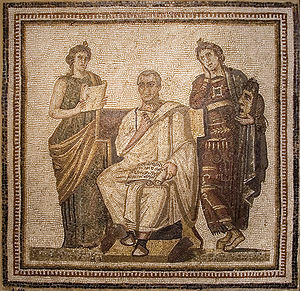 Other scholars speak of “historical fiction” in relation to certain ancient novels even though those ancient authors, I suspect, did not approach their “historical novellas” in the same way as a modern “historical novelist” does. Renowned scholar G. W. Bowersock even has a book titled “Fiction as History: Nero to Julian”. A few years ago another scholar, Judith Perkins, addressed an interesting point Bowersock made in connection with the Gospels — comparing their literary (fictive) tales of a death and resurrection to the same theme of deaths and resurrections in other ancient literature — and included the word “Fictive” in the title. I even quoted at least one classicist or biblical scholar in my article where he referred to “historical fiction” as a label for ancient literature. I also pointed you to a scholarly work making a strong literary-theory-based case that the Gospel of Mark has more in common with Jewish “novels” than other types of literature, and drew attention to the fact that his argument is weighty compared with the shallow dot-point Coles Notes type treatment by Burridge. By “Fiction” I do not mean a specific genre (fiction covers a myriad of genres); I mean a classification of content and authorial intent — as is surely clear by my setting it against everything else, i.e. “non-fiction”. Your argument based on one scholar’s article about numbers of Christians at the time the gospels were written simply side-steps what can be learned from a literary analysis of the Gospels themselves. I am arguing that a literary analysis reveals things about the Gospels that are too often, I think, overlooked. I would rather start with the hard, tangible evidence that we have in hand — and start with examining the nature of the gospels by studying them under a microscope, as it were. That is surely a secure and reasonable place to start in any discussion about what sorts of documents the Gospels are, is it not? Do you disagree that literary analysis of a literary work has any value in informing us about the literary work’s nature, what the author was doing, even to some extent its origin? Do you believe that one scholar’s educated guesses about demographics overturns or renders irrelevant what we find in the Gospels by means of a literary analysis? One more question: Are you attempting to argue, in part on the basis of Keith Hopkins’ article, that the Gospel narratives cannot have been “fictitious” and that the probability is that they were written with a view to report historical events? Regarding Homer, the Classical Greeks considered Hesiod the older of the two writers on the Greek gods and I see no reason to contradict them. I’m not sure about Isiah, but the Iliad is not quite fiction. It’s more an aristocrat’s idealised and deity guided version of a war that was fought shortly before Homer wrote it. And as I said above, my view is that Hesiod is the older of the two poets. I agree that Isaiah is not “fiction” in any genre sense, but its contents are fictitious as opposed to historical fact. Ditto with Homer’s and Hesiod’s works. Anybody from 5th Century Samos would recognised the story in Isaiah, Polycrates has a double in Hezekiah, there is a tunnel to bring water to the city and it was started from both ends with the tunnellers meeting in the middle, there is an alliance with Egypt and a threat from Persia (rather than Assyria). This is very similar to Homer. No doubt you meant Herodotus, not Homer. I’ll keep the possibility in mind when I do further reading. I do believe there was a king of Judah named Hezekiah, but whether or how much of the narratives surrounding him in the Bible are sourced from his reign or elsewhere I have no idea. The tunnel does make an interesting possibility as a connecting flag. I have also read studies arguing that the tunnel the tourist industry (and some bible and Jewish scholars) point to as being built by Hezekiah is more reliably dated to the Hasmonean era. Do you know of other studies attempting to make a case for the point you make? Yes there was a contributor on your blog recently who suggested something pretty similar. I meant Homer, I tend to read Themistocles when I should be reading Agamemnon. But we need literary (usually structural) evidence to support any such idea otherwise it must remain aloof in the realm of speculation. The Gospel of Mark is a myth about history. Jesus is a symbol of salvation. The story of Jesus recapitulates the history of salvation. Jesus is identified with a series of savior figures from Joshua to David to the Teacher of Righteous and beyond. Mark’s messiah myth stretches from the exodus, symbolized by the baptism, to the fall of Jerusalem, which is what the passion narrative is about. In the end, Israel will rise again, which is the meaning of the resurrection. See my new book, Secret of the Savior: The Myth of the Messiah in Mark. good post, Neil, thanks for what I learn from Vridar. I have start to read Secret of the Savior. Very Interesting! “It is a bit of a riddle how you think the concept “fiction” can assist us in a scientific analysis of Mark. Is there any evidence that the writer or writers behind it had any experience of anything aptly called fiction? No one can resist calling the Callirhoë a novel, but the chances these people were familiar with it are nil. Putting ‘Mark’ and ‘fiction’ together seems as absurd as calling Mark a work of prophecy or an epic, and as much an anachronism as calling it ‘investigative journalism’. “a riddle”, “Is there any evidence”, “No one can resist”, “chances these people were familiar with it are nil”, “absurd”, “an anachronism”. Do you have a secret copy of “Mark’s” Jesus’ Snappy Answers to Sadduccee Questions” you are slumming for vocabulary. Literary Criticism can tell us SOMETHING about the author, just not everything as I’ve demonstrated above. Neil, obviously attitude is most important to this anonymous person. I suggest your time is better spent trying to figure out the why of “Mark” rather than “Michael”. At least until evidence becomes a larger part of his posts than conclusions. I’m seeing Mark through DSS-colored glasses now. I think that you and I both agree that Mark is a post-70 composition, and that Mark doesn’t seem to know much about Jesus and relies on the OT (and Homer) and whatever other fashionable ideas or concepts that may have been “in the air” in his time and place. And while it may not be that different from Spong’s idea that a gospel is a kind of midrash, I’m more convinced by the idea that a gospel is more like a pesher, considering all the other similarities the DSS share with ideas and events of early Jewish Christianity. I’m seeing this “root of planting” (whether it was a person or a myth/vision) in other early Christian documents, most interestingly in Revelation, a document generally considered to have Jewish Christian origins in any event (and which Eisenman points out appears to know, however garbled it may have become over the course of however many decades post-70, about two of the three nets of Belial in 2:14 and 2:20, and which I think is a good indication of the remove and/or post-70 evolution of these kinds the ideas that originated from the highly secretive DSS/proto-Jewish Christian sect). As much as I am convinced that the Scrolls are the ultimate source of “Christianity,” I was suprised to recently see that Rev. 22:16 has Jesus (whether a person or myth/vision) says outright, “I am the Root and the offspring [genos, interestingly, unlike “made of a woman in Galatians] of David (also used, with just “root” and without the “genos,” in 5:5). With all the other things similarities that convince me the Scrolls are Jewish Christian, this was the icing on the cake for a guy who thinks the “root of planting” in the Damascus Document has to be “Jesus” (whether human or vision). Now, I’ve strayed a little from Mark, but the idea is that this was a person who by all apearances only knew that the OT prophesized about a particular messianic person or thing, and that this person or thing had to do with God “visiting” people in the recent past and “causing” it to happen somehow. But Mark doesn’t even appear to have had an OT in front of him, to judge from his misuse of it right off the bat, and his tendency for alluding to the OT more than outright citing it like a “real” pesher (though there is arguably some measure of both of this going on in the pesharim too). Throw in Mark’s use of Homer ala MacDonald, and walla, you have the Gospel of Mark. So, while you and I both agree that Mark is fiction, our reasons for thinking this seem to differ because we are coming from different perspectives. There are certainly overlaps between some ideas found in the DSS literature and in writings of early Christianity. But several of these ideas were also known beyond the Qumran community — the Enochian lit for example. I also agree with Doherty when he argues that the evidence indicates that Christianity did not begin from a single point but came to coalesce from a number of compatible developments. Asia Minor and northern Syria should not be overlooked as the birthplace of one of more of these compatible developments. I obviously agree with this statement, but I would extend it more by adding that these shared ideas can be specifically found in the Damascus Document, the only scroll to my knowledge ever found outside Judea. I agree that other people besides the DSS sect had ideas about the messiah or the end of the world that are reflected across the spectrum of second temple era-literature. And writings like Enoch were old enough to be known by many, including at Qumran, but there are specific details and events in the pesharim and Damascus Document that strongly parallel what we know about the people and events of early Christianity (and/or the first century in general) from other sources, and that these writings are later, and in fact the last writings of the sect is indicated by the pesharim being found in single copies only, and by the fact that the history of the sect “stops” at this point. I feel like I should clarify what I mean by this. I realize that biblical and pseudepigraphical writings have been found outside Judea, and while these can be considered “Dead Sea Scrolls” since they were found at Qumran, the “scrolls” I am refering to are the documents, like the Community Rule and weird stuff particular only to the DSS sect itself, but most especially those writings that refer to the Righteous Teacher. To my knowledge, of these (arguably later) writings only the Damascus Document was ever found outside Judea. Do you think the author of the Gospel of Mark intended it to be read as fiction or as a reliable report of what really happened? In other words, was it a deliberately deceptive work, or just one that was later misunderstood? I explained what I meant by a work of fiction and was clear that it could include something like a theological parable. I have no idea what the author “intended” with respect to “how it was to be read”. We simply don’t know. How could we, given that we have no idea who the author was or the occasion that prompted its composition? We can speculate, but nothing more. The best we can do is analyse what we have and try to understand what it is that we are reading. One thing is clear from anything more than a most superficial skimming of the gospel: It was clearly not written as a record or “reliable report of what really happened”. The sky does not get torn apart and God does not speak through it, people do not rise from the dead and no person can walk on water. But even on the more mundane level, the narrative makes no sense as a “reliable report of what really happened”. The lead character, Jesus, is even made to say that his miracles were symbolic parables that contained hidden meanings. Bizarre scenes are described where people act without any normal human motivation — they are depicted as ciphers for spiritual analogues. Impossible and contradictory scenes are depicted when read at the human level but which allow us to suspend belief when read as spiritual metaphors. Example: crowds appearing and disappearing out of nowhere and into nowhere whenever they are needed for the religious tale. You ask if I think it was a “deliberately deceptive work”. I already answered that so why do you ask me again? Of course I don’t think that. The only reason I can think anyone would even suspect I think that would be fear that someone’s faith is being undermined. I explained above that I am not interested in engaging with such people. My interest is entirely in understanding the nature of the Gospels within the same terms we understand any other literature. People who want to argue about faith commitments need to find another forum for their debates. I certainly think modern readers misunderstand lots of ancient literature. I don’t believe Matthew or Luke or John (or the authors of those gospels) “misunderstood” Mark. Their redactions are pretty clear indications that they understood it very well. They wanted to change it and write a different story. It is very easy for people ever since to read Mark through the frameworks of Matthew and Luke and miss just how different Mark really is. But please please — as I said above — do not insinuate that I am somehow “attacking” the Bible and implying it is some sort of “sinister” work of deception. That is an outrageous and ignorant charge that could only arise from someone not interested in arguing literature and history but rather dogmatics. I am not interested in arguing dogmatics. Your position on the intent to deceive or lack of it wasn’t clear to me from your earlier posts, which is why I asked. I’m not at all insinuating you are attacking the Bible. I can easily believe that the author of the Gospel of Mark knowingly wrote a fictional account (either with or without intent to deceive) rather than objectively trying to report history. But I can also believe he naively but sincerely reworked earlier fictive accounts by others that he believed to be true. In any event, I believe very little if anything in the account is historical. Certainly not the supernatural elements, but maybe not the rest either. So whether “Mark” deliberately wrote or merely inherited a fictional account, you and I can agree that the account itself is mostly fictional. Whether he himself believed it and whether he intended his readers to believe it are two additional and independent questions. Now, a few decades later the account was seen by early Christians as a true report of something that really happened. I think it is fair to ask whether that is what “Mark” intended all along, for whatever reasons, possibly including noble ones. If all he wanted to do is to write an edifying spiritual tale without giving his readers the idea that these events really happened, I wonder how people came to interpret it differently. I’m not saying it’s impossible, or unlikely, just wondering. As a parallel, consider Tolkien’s the Lord of the Rings. It is a tale full of supernatural elements, yet it is described in a very realistic and internally consistent way. This is done for literary effect, not to persuade the reader that the events depicted in the tale really happened. One of the forewords does actually pretend to do just that, but that too is just part of the literary effect, as is self-evident to any modern reader. I don’t think Tolkien’s main goal in writing LotR was to edify his readers, but it does have a very clear spiritual dimension that deliberately reflects his religious beliefs. A degree of edification is also intended I think (and in my personal opinion achieved), even if it is not the main goal of the work. So i’m wondering, even if we assume “Mark” wrote an edifying fictional account, one he did not believe to be historically true, but still in some sense spiritually true, whether he intended his readers to understand the tale as historical. If he did, some might condemn him for it, while others could consider it a legitimate way to edify the common man. An elitist and paternalistic way of looking at things in my opinion, but sincere and well-meaning people can disagree on that I think. I don’t see why anyone but a dogmatist should even raise the question of “intent to deceive” from a post that was nothing more or less than a discussion of literary analysis. I have covered in the past some reasons to reject the assumption that Mark was re-working oral traditions. I don’t know when the Gospel of Mark was first interpreted as a literal-historical account by the general Christian communities. How did the followers of Basilides interpret it? I don’t think we have any idea, do we? We do know that Paul’s arguments could be turned on their head to argue the very opposite of what he originally wrote by later authors who were co-opting his letters for orthodoxy. We know fabricated lives of apostles were created for sectarian reasons. We know Jesus could be re-written to teach the very opposite of something another work said he taught. We have some evidence that Marcion interpreted the Gospel of Luke as narrating the life of a docetic Jesus. The early history of Mark is lost. We simply don’t know how it was interpreted by its original audiences. But we do know that later scribes did make changes to it to make it conform to more orthodox teaching. And we do know Matthew and Luke shaved off some of the more symbolic character of some of his narratives to make them read more like natural historical anecdotes. And it does appear that Mark was contradicting extant claims of other groups who had quite different understandings of when and how disciples received visions of the heavenly Christ. So we do know that different sects or groups embraced very different interpretations of the same base documents and that many were quite capable of blatantly making changes to them to make them conform even more coherently to what they believed they should say. Until we uncover the author of the gospel and its original audience we can only speculate on so much. But that doesn’t stop us from analysing it to understand what sort of writing it is in the meantime. Certainly not, and that’s a very valuable approach. I understood you were saying the Gospel of Mark was fictional and was just confused about whether you were saying “Mark” intended his work to be read as fiction or as a real historical account. It seemed to me that a work that is intended to be understood as a work of fiction is a different genre than one that isn’t reagrdless of whether the events depicted in it are in fact historical. If future historians were to try to recover the historical Jack Ryan from fragments of Tom Clancy novels then that would be very different from future historians trying to reconstruct the historical Mosiah from fragments of the writings of Joseph Smith even though both individuals are purely fictitious. From your subsequent comments I gather you simply weren’t saying anything about Mark’s intent, and that you aren’t even terribly interested in that question at the moment. Fine, that clears things up for me. I thought you were trying to address that question and that I didn’t understand you, but now I know that was a misunderstanding. I don’t know why you think dogmatism has anything to do with my question since I’m not a religious person. It was just an innocent question, but I seem to have hit a nerve. I apologise if I hurt any feelings. No problem and thanks for the explanation. It seems I wrongly mingled your question with so many other attacks that have been directed at me in the past (many have long since been relegated to the spam filter) assuming that if I don’t accept “Gospel truth” then I must be attacking the Bible and accusing Christianity or the Gospels of originating as a sinister, machiavellian conspiracy. The reason I am not very interested in questions of motive is only because I don’t think we can truly learn that without access to the identity of the author. I think the Gospel of Mark is closer to a theological parable than anything else I know. As such, there is no reason to treat any of its contents as historical. Even the area of Galilee, the real “wildernesses”, the city of Jerusalem, Pilate, though taken from real geographical and historical references, are recreated as literary theological characters and places. So the Gospel tells us nothing about them as “history”. Nor even as “geography” — since the real place names are set alongside fictional ones. And historical persons are weaved into a narrative with clearly fictional persons. First: Sorry, my English is terrible. I can understand while reading – but listening, speaking or writing is very tough for me. – You know, originally it was said in the text „written in Isaiah“ not „written in the prophets“, but there is not Isaiah. It´s Isaiah and Malachi. And it is not „written“, Mark has false quotations. – The prophecy speaks about a messenger and a voice in the wilderness, but both John and Jesus are in the wilderness and have a message. The „messenger“ fits slightly better to Jesus and his „evangelion“. – John says that „after me comes the one .. he will baptize you with the Holy Spirit“, but Jesus don´t baptize – literally speaking. – Mark tells us, that Jesus came and was baptized by John in the Jordan, but he don´t described the baptism by John, for him it´s an irrelevant fact. Mark´s point is the baptism by the holy spirit. – You are fully right, when you say, that Jesus comes in the gospel of mark out of nowhere as a nobody. He seems very passiv, no action from him, everything seems to thrust him. – The story in the beginning of Mark is told very rapidly, hardly a detail, it almost seems to be a draft. You can see over a point, but that´s all seems a little bit crazy. Isn’t it ? My question is: Is that the „humble Mark“ or a great writer, who is trying to say something between the lines. My impression is, that you can read the beginning of Mark in an other way. Than the prophecy speaks to the readers and listeners of the gospel: „I will send my messenger ahead of YOU …“ and says „Choose one of these two !“ On one side is John, the great prophet, „the whole Judean countryside and all the people of Jerusalem went out to him“, he shows the certified signs “clothing made of camel’s hair, with a leather belt around his waist, he ate locusts and wild honey“. He holds pompous talk. His sermon follows the prophets. On the other hand is Jesus, a nobody out of nowhere, with no outward signs, he don´t baptize with water, but he is baptized with the spirit. Yes, the people of Judea came not to him, he is alone, only „satan, wild animals and angels“ are looking for him. His sermon follows the voice from heaven. For me Mark is trying to say that all outward signs speak for John, but the “true” signs speak for Jesus. With this beginning he can go about Mark 4,11 (“Unto you it is given to know the mystery of the kingdom of God: but unto them that are without, all these things are done in parables”) to the general misunderstanding of Jesus from all sides and crucifixion with the centurion. Externally there seems to be a defeat of a loser, but the centurion talks about the son of god. For me Mark is a game with secret signs and all the “errors” in the beginning of Mark are a sign, that means: Watch out exactly what’s coming! I don´t know if a scholar says the same, it´s my own interpretation. Also I don´t know if my interpretation is correct, but it seems to me on the whole slightly better fit than the traditional view. If I’m right then possibly Mark already dealt with a traditional theme about John and Jesus and gives his own interpretation. In such a discussion of the Gospel of Mark as literature, I have found John Carroll’s “The Existential Jesus” an excellent and informative read. The gospels, including Mark, are certainly fiction. They could be outlines for plays or poetry readings. They are not novels in the modern sense. They were obviously concocted by the Romans with the very clear message to obey the Romans. Jesus even foretells of the coming of the conquering Roman armies being lead by the ‘Son of Man’. Figure that one out. Literary criticism of the gospels will set you free. If you work in this field beware. It can free you from your financial base. A quite different perspective of the synoptic gospels and their relationship to Roman cultural beliefs about emperors and the power of Rome is found in Peppard’s The Son of God in the Roman World. The argument therein is cogently tied to close readings of the texts and leaves little room for creative flourishes to tie disparate passages a la Atwill. I’m not sure I agree with you when you say that the gospels are certainly fiction and could be outlines of plays or poetry. I don’t know of any works of fiction where so many returning and one-off characters have the same name. To have characters with the same in the same work is just stupid in fiction but quite normal in historical accounts. The names Mary, John, James, Joseph, Judas are all heard and repeated throughout the gospel accounts of Jesus life. From a writers point of view the gospels must be the worst fiction ever written. They contain unecessary detail such as how a piece of fish is cooked. But they are not fiction they are accurate historically robust documents. Have a read of Richard Bauckham’s Jesus and the Eyewityneses. It’s a fascinating study of the times in which the gospels were written. I went through a chapter by chapter review of Richard Bauckham’s Jesus and the Eyewitnesses on this blog. See http://vridar.org/category/book-reviews-notes/bauckham-jesus-eyewitnesses/ — you will have to scroll back a few pages to start at the first of the series. The details you cite are by no means indicators of genuine historicity — in fact the reverse. Bauckham himself denies the narratives are in any of their details “accurate historically robust documents”. Sorry to arrive so late to the party, but in my internet pursuit of discussion re ~Luke~ as 3rd-ish CE Greek fiction, this blog on Mark seems is closest consideration I’ve managed to find (am slow at devising good search parameters). Anyway, even during my most devout years, the canonization of Luke baffled me. The structure & rhetorical style always seemed stylized & artificial in a way I could only compare – despite the lapse of time – to stuff like “Letters of Abelard & Heloise,” Heliodorus’ AEthiopica, Eliz/Stuart England’s Euphuism fad, & 17thC lit in its most pandering forms. While I shall certainly check out the Alter book, it would be very helpful if you could recommend studies that delve into at least some of the more bizarre passages in Luke (my fave being the pregnant Mary visits her cousin – who coincidentally is pregnant as well, with John Baptist – scene, but there are many more). Despite being an uneducated layperson, the Weirdness of Luke’s Gospel has long fascinated me.